For my dinner hosting a Japanese guest, I’ve made this appetizer to kick off the evening, which has later been featured at PetitChef. Comparing to my previous Ceviche, I’ve added green apples for an uplifting touch & topped it off with #Caviar. Peel skin off apple & cut into cubes. Blanch & chop crabmeat. Add lime, olive oil & mayo. Mix well & stir in apple cubes. Transfer to serving class & top it up with caviar. 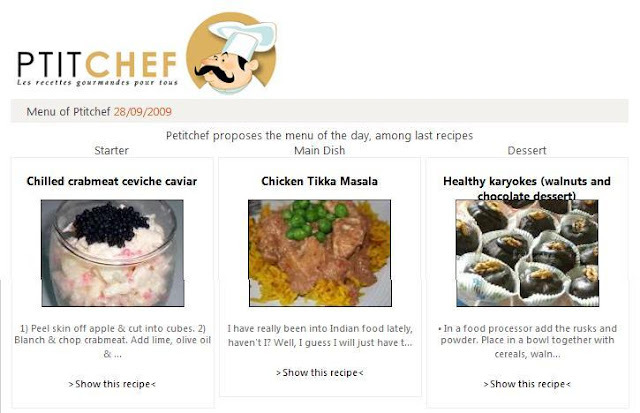 Refrigerate for at least 2-3 hrs & served chilled. i can have this salad without the caviar.. 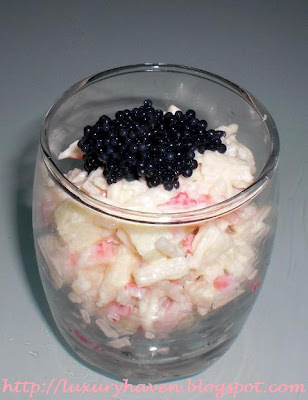 I love your pairing of crabmeat and apple here, perfect topped with caviar! Reana, u can order from Culina Gourmet or Green Grocer for good quality caviar & not those supermarket ones.